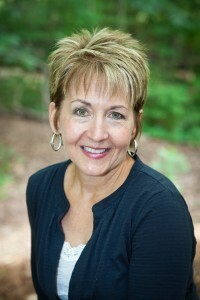 Dr. Bach earned a Bachelor of Science in Special Education from the University of Alabama, a Master of Arts and a Specialist degree in Psychology from the Center for Humanistic Studies, now the Michigan School of Professional Psychology, and a PhD in Clinical Psychology from The Union Institute. 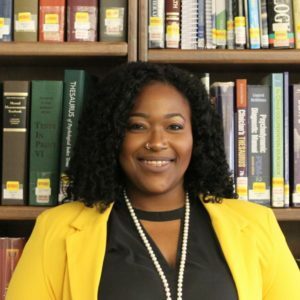 With extensive experience as an educator and clinician she has held various teaching positions at the University of Detroit-Mercy, Oakland Community College, and at public and alternative schools for students with special needs. She has held various positions at MSP including MA and PsyD Program Director for a number of years before becoming a full-time core faculty member. Dr. Bach is a qualitative research consultant and liaison for students and faculty at universities, nationally and internationally. Dr. Bach has a diversified private practice with specific expertise in the treatment of eating disorders. In furthering her commitment to the development of human potential, she engages in the continued study of creative processes in the arts of teaching and psychotherapy. Dr. Bach is published in the areas of heuristic research and in the treatment of eating disorders. Bach, L. Blau, D., Brown, L., & Mishara, A. (2012). Passion and pitfalls in phenomenological research: Challenges in teaching, advising, and application. Presented at the Eighth Annual International Congress of Qualitative Inquiry at University of Illinois, Urbana-Champaign, IL. Bach, L., & Blau, D. (September 12, 2011). Qualitative research: A study of experience and meaning. Webinar for the Chicago School of Professional Psychology. Bach, L., Keenan, K., & Meunk, E. (2011). Ethical considerations of multiple relationships in graduate programs. Presentation at the APA Annual Convention, Washington, DC. Bach, L. (2011). A phenomenological approach to clinical practice. Presentation at the Seventh Annual Congress of Qualitative Inquiry at the University of Illinois, Champaign-Urbana, IL. Bach, L. (2010). Phenomenology in clinical practice. Clinical Psychology Department Workshop at the California Institute of Integral Studies, San Francisco, CA. Bach, L. (2006). Exploring the gap between research and practice. Presentation at the 17th Annual International Nursing Research Congress, Sigma Theta Tau Honor Society of Nursing, Montreal, Canada.